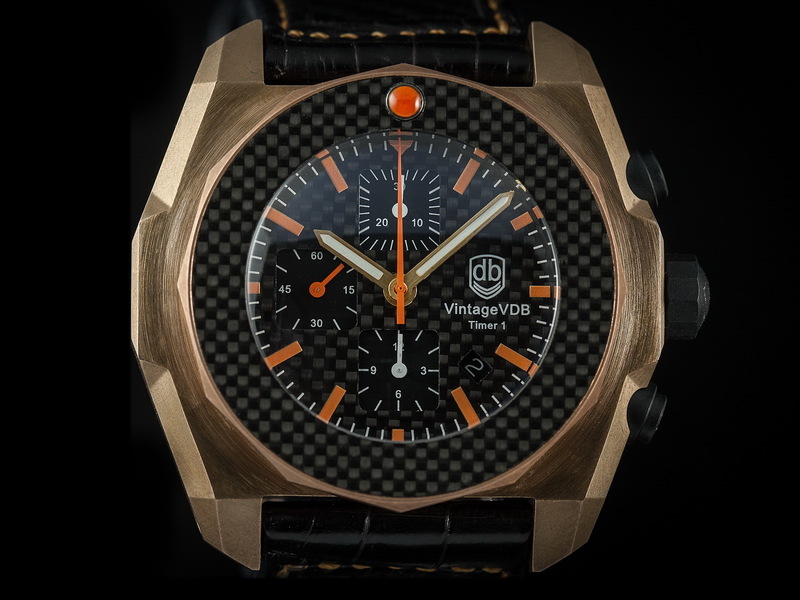 By TLex As promised here the very first images of the new beastly Vintage-VDB CHRONO AKA the Timer1 Chronograph. Combining two specialist materials, bronze and carbon fiber, the Timer1 has a mega 55mm x 57mm x 20mm Bronze watch case. 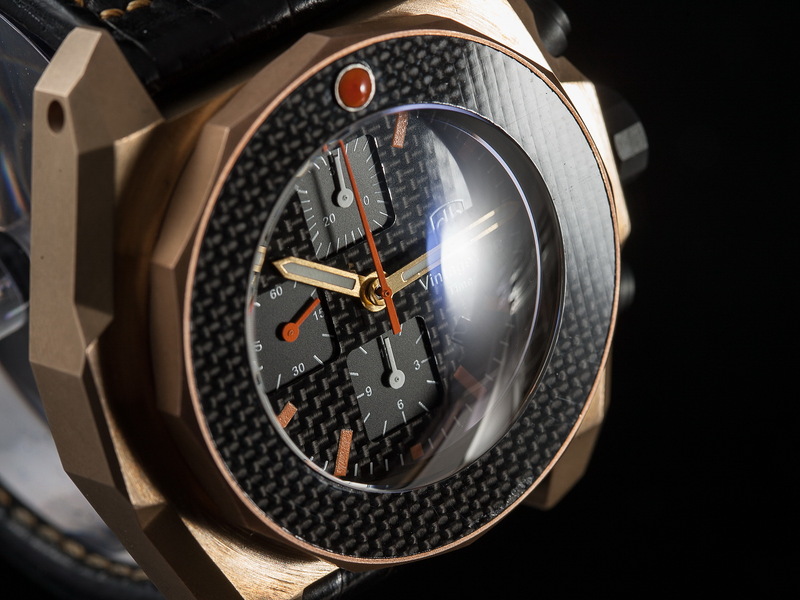 High-tech carbon fiber has been used to create a sporty dial and the bezel insert. Divers features of the Timer1 include: a water-resistant up to 200 meters, a screwdown crown and caseback, a highly domed Sapphire crystal and a 12-sided uni-directional rotational divers bezel with a single orange luminous pip at 12 o'clock. The dial has three 3 sub-dials in. 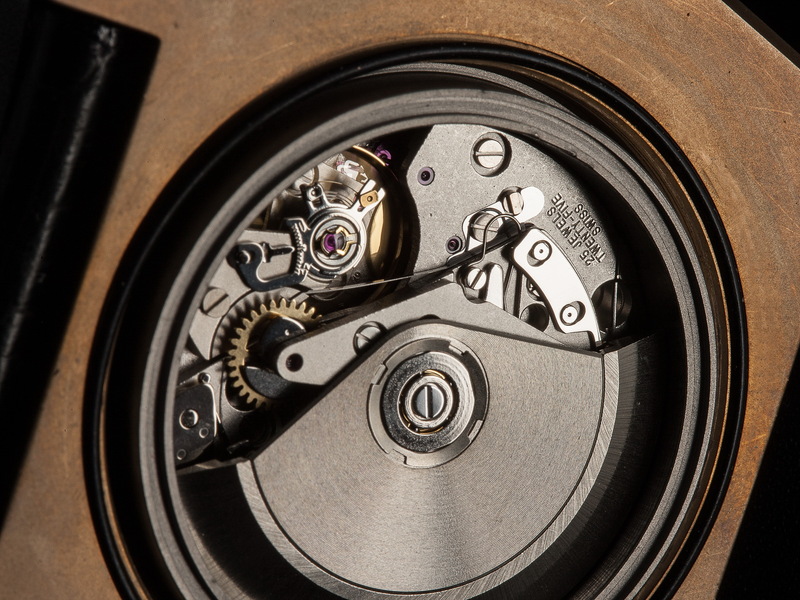 Powering them from below is a Swiss made ETA Valjoux 7750 automatic chronograph caliber. 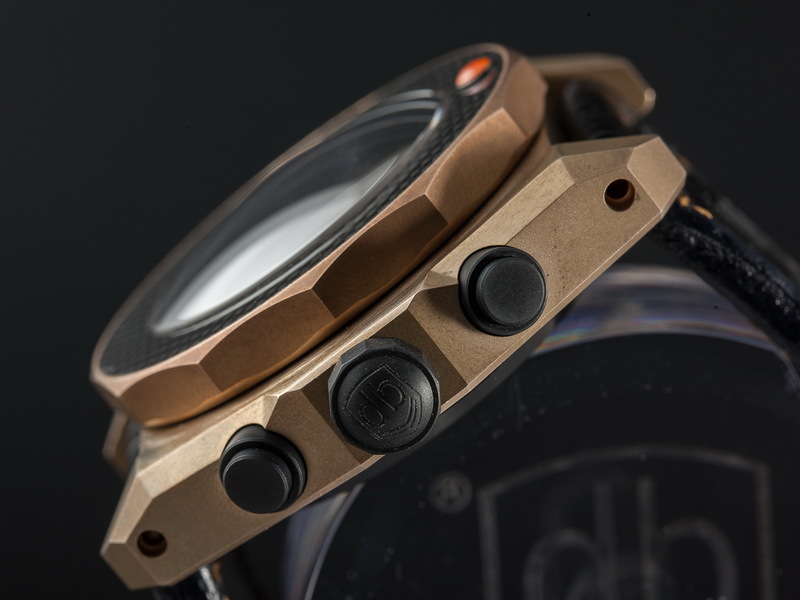 The Timer1 Chrono comes on a custom Vintage VDB rubber divers strap attached by screwed lug bars. 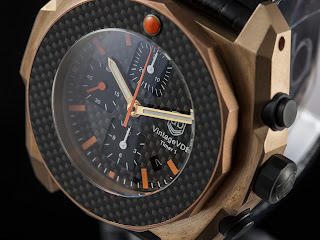 It is presented in leather box along with an additional handmade leather strap. 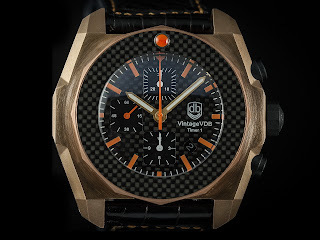 Only 30 pieces of the Timer1 were made from Vintage VDB priced 2,890euro. Follow the link HERE for further details.